This week, our family is setting sail on board the Disney Fantasy and it’s going to be a week full of celebrations! My sister is graduating from Notre Dame with her masters degree, Maisy is turning two, Justin & I and my mom and dad are both celebrating wedding anniversaries (1 and 29 years!) and my sweet daddy is turning the big 6-0. My dad is the type of person who never asks for much, but he always has a smile on his face, ready to face the day and any challenges ahead of him. 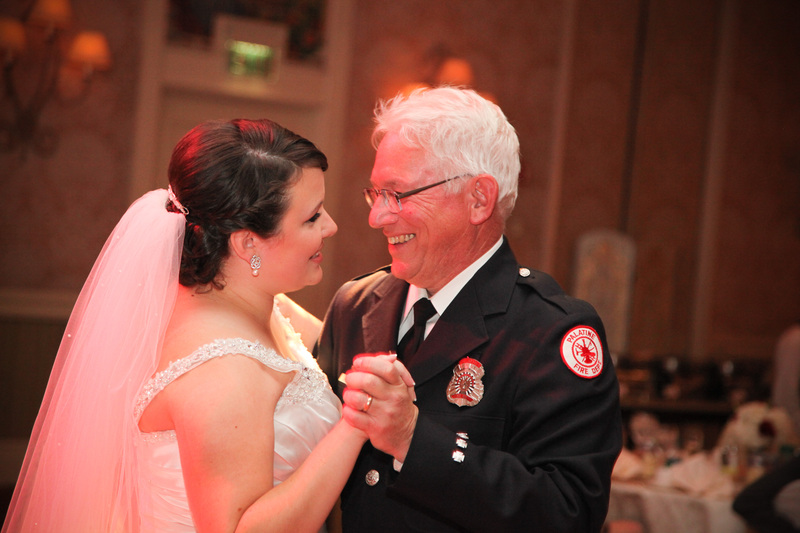 A firefighter/paramedic/EMT for 25 years, he retired only when my Mom was diagnosed with breast cancer. But he didn’t stay retired for long. My dad went back to school and taught elementary school for a while in Illinois. When we moved to Indiana, he combined his two passions: helping people and teaching people, and he founded the program for EMT training at a state-wide university. My dad has a lot of passions for life. He loves his sports teams, his crocks, and quoting movies verbatim–but nothing more than he loves his family. When Justin and I were planning our wedding, I told my dad I didn’t want to do a traditional dance because I didn’t want to see him cry. Instead he and I danced to “Shout!” and though we both laughed the entire time, he still cried a bit. I love him for that. So when my mom said she wanted to do something special for dad while we were on the ship, I had to take advantage of it. A man with 60 years of experience, love, and laughter needed to be recognized for all he does for our family. 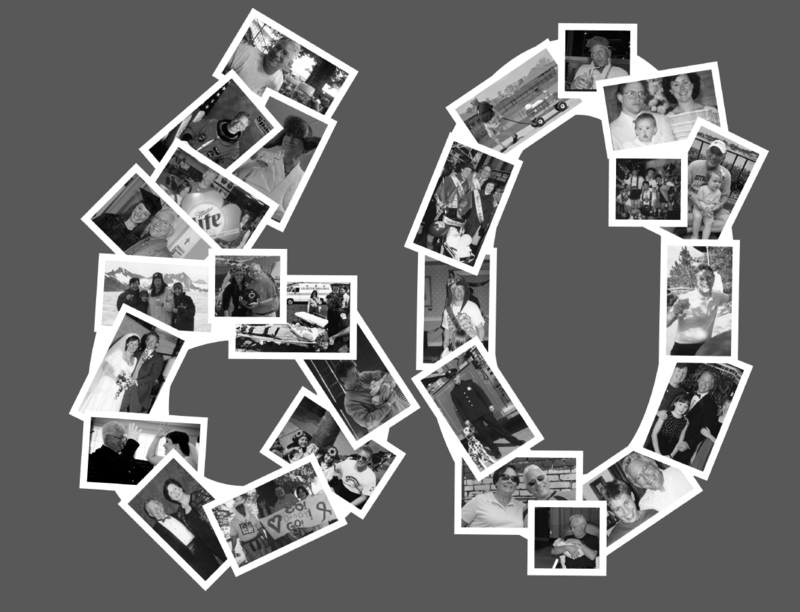 I put together a photo collage with 60 years worth of photos put together to make a “60”. We also made shirts to wear with a quote from Walt Disney across the bottom. “Adults are only kids grown up anyways.” A perfect quote for our dad. Happy Birthday, Dad! We love you!